Is é atá sa Stát Ioslamach (giorraithe mar SI) eagraíocht Silafi jiohádach antoisceach armtha a bhaineann úsáid as foréigean agus sceimhlitheoireacht chun a gcuspóirí polaitiúla agus creidimh a chur i gcrích. An Stát Ioslamach san Iaráic agus sa Leiveaint (SIIL) a thugtar air freisin i measc roinnt leaganacha eile den ainm (Al-Qaeda mar shampla). I measc na n-eagraíochtaí agus na dtíortha a aithníonn an Stát Ioslamach mar ghrúpa sceimhlitheoireachta, tá na Náisiúin Aontaithe, an tAontas Eorpach, na Stáit Aontaithe, an Rúis, an Tuirc, an Indinéis, agus araile. Tá 60 tír ag troid le SI ar bhealach díreach nó indíreach. Deir SI go bhfuil údarás acu ar Mhoslamaigh ar fud an domhan, ach diúltaíonn grúpaí Moslamacha a leithéid SI mura mbíonn siad faoin smacht SI. Tá an SI nasctha sa Nigéir agus tíortha Afraiceacha eile le Boko Haram. Cúige na hAfraice Thiar a thugann SI ar na limistéir atá faoi smacht Boko Haram. 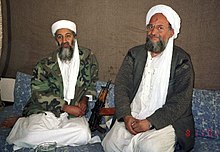 Sa bhliain 1988, bhunaigh bin Laden an grúpa paraimíleatach al-Qaeda, a raibh páirt acu i roinnt ionsaithe ar fud an domhain níos déanaí. An t-éacht ba mhó a rinneadar ná na h-ionsaithe sceimhlitheoireachta 9/11 i Stáit Aontaithe Mheiriceá sa bhliain 2001. 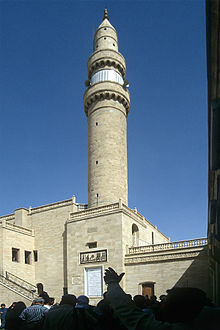 Sa bhliain 2004, bhunaigh Abu Musab al-Zarqawi, radacach Iordánach, Jama'at al-Tawhid wal-Jihad (nó جماعة التوحيد والجهاد). D'athraigh sé ainm an ghrúpa níos déanaí go Tanẓīm Qāʻidat al-Jihād fī Bilād al-Rāfidayn, ("Eagraíocht Bhunáit an Jioháid sa Mheaspatáim", cé go raibh sé ní ba choitianta tagairt don ghrúpa mar al-Qaeda san Iaráic (AQI). Maraíodh al-Zarqawi sa bhliain 2006. San 2010idí, bhí smacht ag an Stát Ioslamach ar oirthear na Siria (móide codanna beaga eile den tír chéanna), cuid mhaith d’iarthar na hIaráice, agus áiteanna scaipthe sa Libia agus sa Nigéir. Bhí suas le 10 milliún duine faoina riail ar feadh tamaillín. Thug lucht SI “an Chailifeacht” ar a riail. I mí Iúil na bliana 2014, ghabh fórsaí SI Mosul, cathair san Iaráic, agus scrios siad Mosc Yunus (Ióna sa traidisiún Críostaí) in éineacht le mosc eile ón 13ú céad agus scrín Chríostaí ón 14ú céad. ↑ "Death Could Shake Al-Qaeda in Iraq and Around the World". The Washington Post. ↑ "Extreme Wahhabism on Display in Shrine Destruction in Mosul". "ISIS: Portrait of a Jihadi Terrorist Organization" – Tuairisc PDF ón Intelligence and Terrorism Information Center. Tugadh an leathanach seo cothrom le dáta an 24 Samhain 2018 ag 12:16.